Welcome to the first edition of the Sephora Sundays Series (SSS! hehe) brought to you by Beauty and All That. Every Sunday, I will post a product or two that I think is worth mentioning on Sephora. I may not necessarily have it, but it would be something that I think is worth getting, try, having! 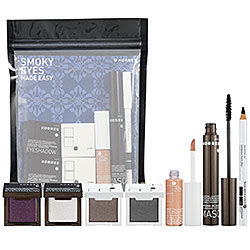 I will browse their site and post something that is a deal.. Pictures' source is from Sephora.com if I do not have the product. 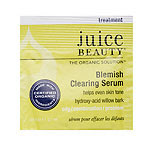 Before I start, I looked at their Free Samples and they have the Juice Beauty Blemish Clearing Serum. I definitely recommend this sample over the others if you're looking for something to help clear your blemishes with natural, organic ingredients. Read reviews on this product here. This Sunday's features are from the Korres Collection. There are two- Golden Goddess and Smoky Eyes. Each are available for $39.50. 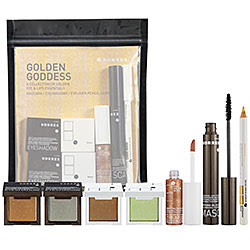 Read reviews on the Korres Collection here.